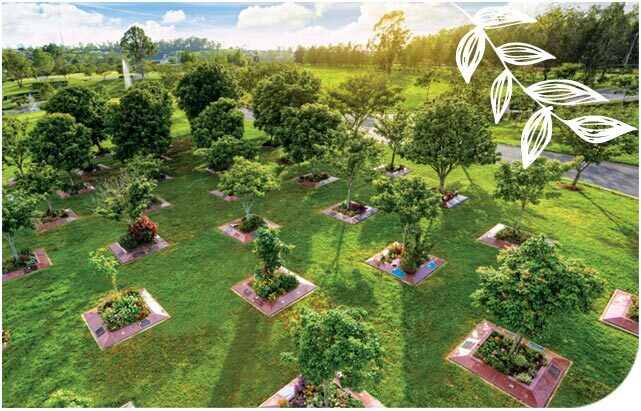 Centenary Memorial Gardens offers a wide range of lawns surrounded by beautiful gardens to choose from to provide a peaceful and serene resting place. We invite you to schedule a meeting with our Family Service Consultants for a no-obligation discussion of your particular needs. The Arbor brings a contemporary approach to lawn graves of old. Featuring ample seating and a general feeling of unhurried reflection, The Arbor is particularly welcoming to visitors. The Arbor is a lawn burial with a tulipwood tree at the head of each grave. Within each tree surround features a small personalised garden. Every picturesque tulipwood tree throws a cooling footprint of shade for visitors and marks the resting area for up to eight people. 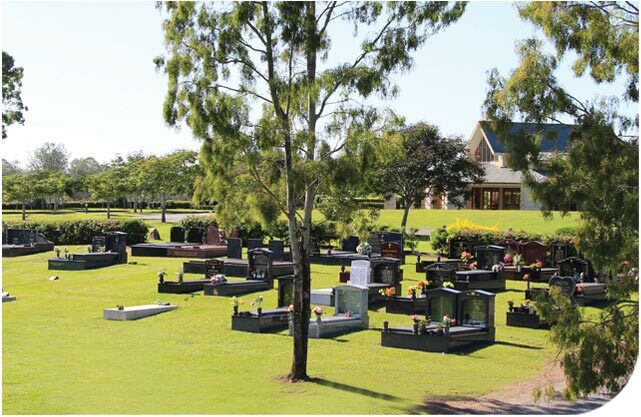 Centenary Memorial Gardens lawn graves are a dignified yet understated burial option. Elegant bronze plaques with enduring granite bases rest in serene and beautifully maintained lawn areas, surrounded by established hedges. Pre-installed strip beams are placed within the lawn to provide a stable support for the plaques and granite, ensuring long term stability. A lawn burial position at Centenary Memorial Gardens features a small sloping headstone as opposed to the traditional upright headstone. Golden Wattle Lawn is sought after for its commanding views over the valley. The Golden Wattle Lawn provides the choice for burials within an in-ground vault or directly into the earth. 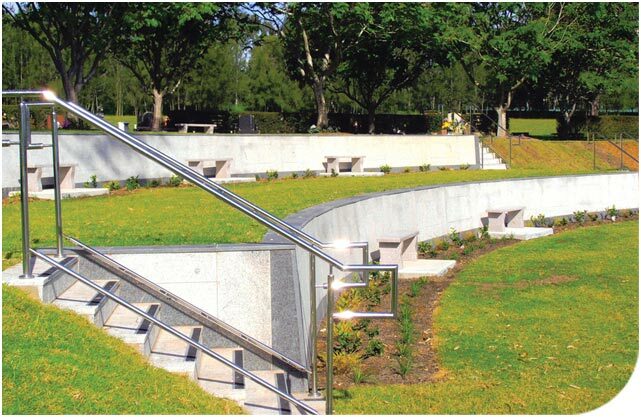 Memorials within the Golden Wattle Lawn are bespoke and of a wider variety than seen in other areas of Centenary Memorial Gardens. 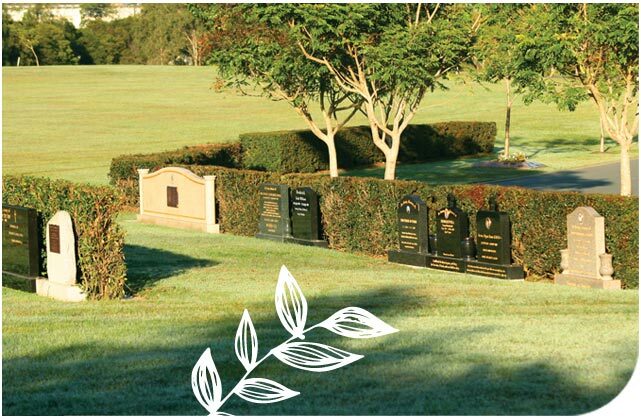 Particularly popular with our diverse ethnic community groups, Golden Wattle Lawn memorials acknowledge the personality of the deceased and the expressions of love from their families. Monuments may be up to 1.8 metres (6 feet) tall and chosen from a wide range of styles and granite types. 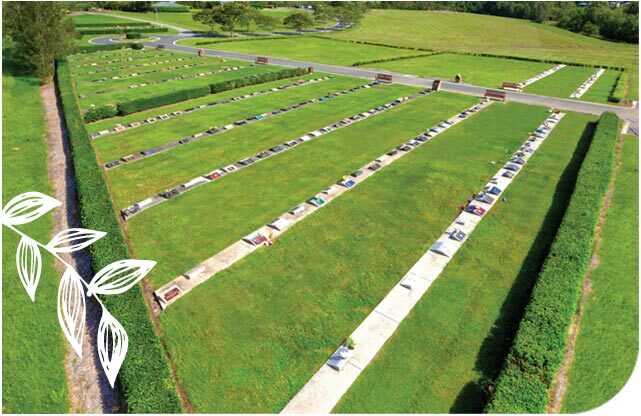 Our Monumental Lawn is reminiscent of classic formal hedge gardens and cemetery layouts of old. Upright granite monuments relay their story to readers in striking gold letters. The aesthetically appealing twist of our Monumental Lawn comes in the use of hedges to separate rows. With each hedge maintained slightly higher than the monuments, privacy is assured and visitors are afforded the comfort to reflect in peace. Our Monumental Lawn remains vibrant and green throughout the year. It offers serene views over the Arbor across to the Golden Wattle Lawn and is situated on the scenic rim above our lakes and fountains. We tailor our exclusive memorial packages to appeal to individuals, couples, families as well as our multicultural community. Our Estates offer families a quiet reflective area surrounded by a personalised garden setting. Limited sites are available throughout the grounds overlooking the water. Our tranquil lakes feature the use of fountains, cascading water and abundance of wildlife.